The following songs are available for download & payment on an honesty basis. 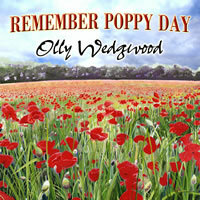 100% of all profits on the single (and the other songs) are being paid to the Poppy Appeal Charity. To listen to the tracks, just click on the player symbol. Please right click on any track to save to your computer (save link/target as). Then choose the folder on your computer where you wish to put the file. To pay and support the Poppy Appeal, please use the links in the Payment section (below the songs). Take a look at the info below To find out about Olly & Sam and see some of their videos. 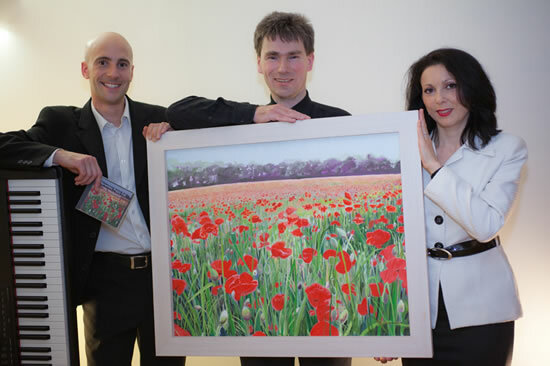 A selection of their music is available above, including the Remember Poppy Day single. 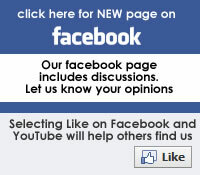 Further info and music is available on their websites - see below. 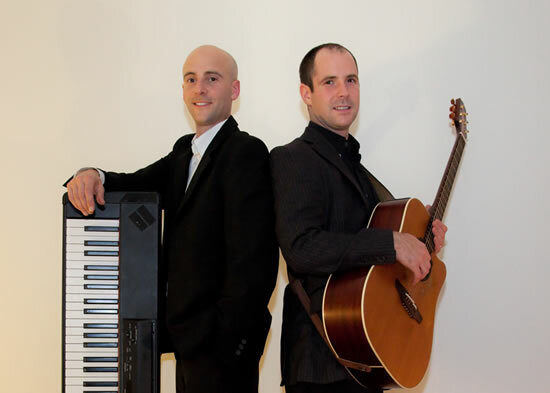 Olly & Sam Wedgwood are two very talented Surrey singers and songwriters,. If you’ve ever had a piano lesson, the chances are you learnt from a piano book by their mother, Pam Wedgwood (sales of over half a million books), Their father Denis was Principal Cornet in the Orchestra of the Royal Opera House, Covent Garden for 9 years. With both parents being talented musicians, Olly & Sam started playing a multitude of instruments to the highest level from a young age, Their outstanding musicianship has been passed down in the genes and has been reinforced by many years of study, practice and live performances. A Silent Night In with Olly J - Favourite Christmas carols served with a unique Olly Wedgwood twist! Sam toured the world’s major arenas with Jamie Cullum as guitarist, vocalist and trumpeter for over a year and left to write and record his first solo album 'Smallprint' which is world class and packed full of potential hit singles. "I've been really enjoying listening to Sam's Smallprint CD all week and without question Sam is a very fine writer and performer"
"Sam Wedgwood is a true multi-talent. Not only a gifted singer and instrumentalist (guitar, piano, trumpet....you name it) but also a fantastic songwriter with a uniquely soulful voice. I'm actually quite jealous." Olly has been performing well known music and leading bands for over 20 years. He started early by winning a music scholarship at Hampton School and then founding the 'Big Jazz and Blues Band' during his sixth form, where he went on to study jazz piano under Roger Munns. As a student at Cambridge University, he founded, conducted and managed Selwyn Jazz, an 18-piece swing band as well as The Lovehandles - a high energy Rhythm & Blues 9-piece band playing fantastic covers to the bopping student masses. In 2004, he handed in his notice for his day job and went pro, playing frequently with the Oxford Jazz Quintet (one of Jamie Cullum's previous ensembles). Olly now runs his Jazz Soul Boogie Band - one of the top wedding entertainment bands on the professional gig circuit in the UK. All parts here are performed live. The looping kit enables a solo performer to create a fuller sound. A good performance requires skilful co-ordination and anticipation to control the equipment using pedals. Sam records and retrieves sections played earlier with precision timing, while still performing the new parts and building the layers. At the end of this video, he is harmonising with 4 or 5 layers of his voice and ad-libbing over the top, accompanied by layers of instrumentation and rhythm. If you would like to make an additional contribution, we have set up a fundraising page for the Royal British Legion's Poppy Appeal. 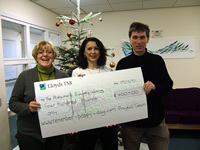 To donate, click on the image on the right.